Becky Lynch is a professional wrestler from Ireland who is currently signed to WWE under the ring name Becky Lynch. She is the wrestler who performs on the SmackDown brand and she is the current SmackDown Women's Champion. Prior to being associated with WWE, she also wrestled on the Independent circuit under the ring name Rebecca Knox. Let's look at her wiki, to get more information regarding his career, net worth, personal life. 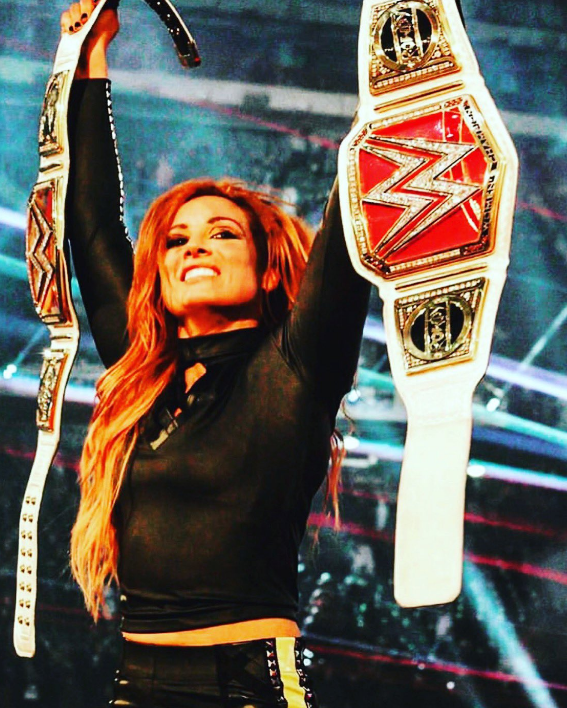 What is Becky Lynch Famous for? An Ireland professional wrestler of WWE. Her trademark wrestling finishing technique. What nationality is Becky Lynch? Back to her early life, Becky Lynch was born in Limerick, Ireland as Rebecca Quin. Her nationality is an Irish and she is of white ethnicity. Her birth sign is Aquarius. From an early age, Quin has shown her interest in wrestling. At teens, she started training at wrestling in Ireland along with his brother. Her brother wrestled under the name Gonzo de Mondo. She was also involved in horse riding, swimming, and basketball. Moving towards her education, She completed her degree in acting from the Dublin Institute of Technology. She also went to the Columbia College Chicago and Gaiety School of Acting. For two and a half years, Lynch also served as a flight attendant with Aer Lingus. When did Becky Lynch pursue her wrestling career? After finished her training, she made her professional wrestling debut by using the name Rebecca Knox in November 2002. She played with her brother in mixed tag team matches throughout her early career. Later on, Lynch trained at NWA UK Hammerlock. She moved to Europe in 2005 and wrestled for the France-based Queens of Chaos promotion. She also managed to win the World Queens of Chaos Champions in 2006. With this win, she acquired many fans for her and later she also showed her excellence for England’s One Pro wrestling and Germany’s German Stampede Wrestling. Later she also participated in Extreme Canadian Championship Wrestling. During 2011 and 2012, Lynch also established herself as an actress and she was cast in several plays. Becky Lynch was introduced to WWE in 2013. According to media, she had signed a two-year developmental contract with WWE: NXT and her new ring name were revealed as Becky Lynch. 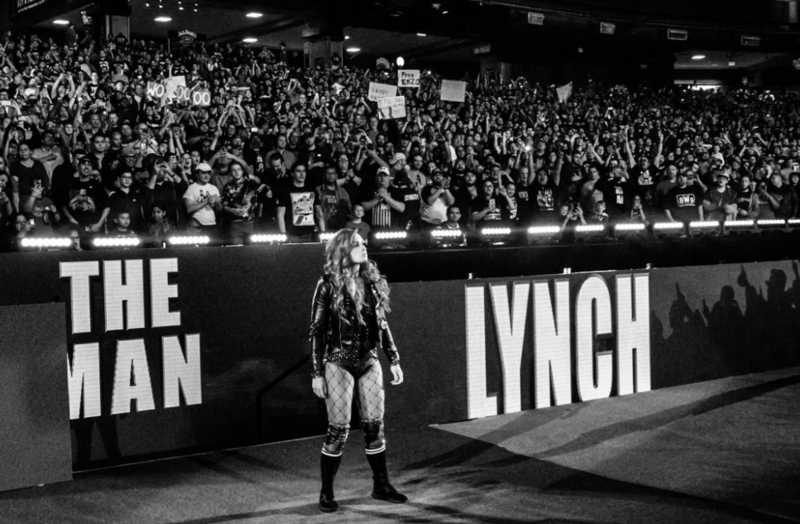 Lynch made her official main roster debut on 13 July 2015 along with Charlotte and Sasha Banks after Stephanie McMahon called for a revolution in the WWE Divas division. Lynch became the inaugural SmackDown Women's Champion in September 2016 and later won the title a second time at Hell in a Cell in September 2018. On 27 January 2019, at the Royal Rumble event, Lynch was unsuccessful in regaining the title from Asuka. Later that night, she participated in the women's Royal Rumble match as a surprise participant, taking an injured Lana's number 28 entry, which she would go on to win with lastly eliminating Charlotte Flair. Who is Becky Lynch's boyfriend? There are a number of fans asking about her dating life. However, Lynch has not announced officially about her boyfriend. She might be dating UFC Fighter named Luke “Cool Hand” Sanders. Lynch also posted her photo with her boyfriend Luke Sanders on Instagram. However, it seems their time together has come to end as Lynch has deleted all of their pictures from her Instagram account. The couple might have broken up but neither of them has opened up about their split. She is single at the moment. Lynch is not married and she doesn't have any children either. 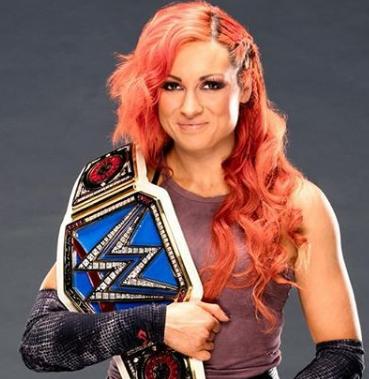 What is Becky Lynch's net worth? Becky Lynch has an estimated net worth of $650,000 at present. Her annual salary is $250,000 and she is one of the worst paid WWE superstars along with Alicia Fox and Rosa Mendes. Her net worth is also considerably lesser than WWE Divas like Eva Marie, Trish Stratus and others. Further, Lynch has shown great potential and she is one of the fan favorites. It is unfair that she only bags $250,000 annually. However, her salary may increase in the future as she grows in popularity. How tall is Becky Lynch? Observing her body statistics, Lynch has maintained a great body and figure. She has a standing height of 5 feet and 6 inches. Her body weight is 61 kg. Her bra size is 34C. Her body measurement is 36-26-37 inches. Lynch also looks wonderful in her bikini avatar. Her admirers follow her on Instagram and Twitter. Inaugural & 2x WWE Smackdown Women's Champion. She is the first Woman to rank #1 in ESPN's WWE Power Ranking. 2019 Women's Royal Rumble winner.